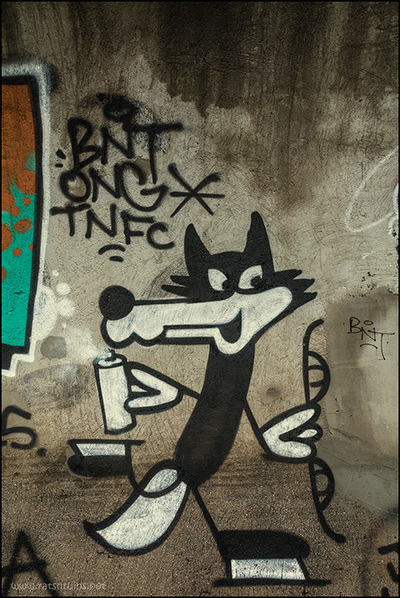 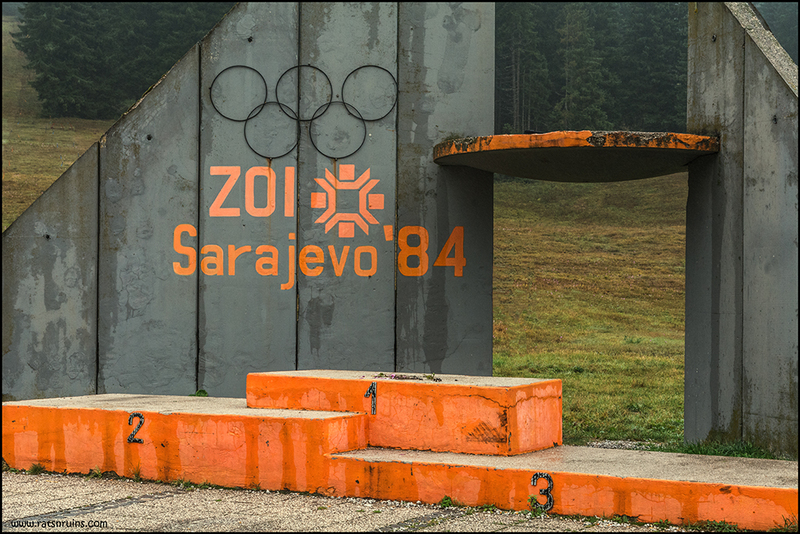 The 1984 Winter Olympics, was a winter multi-sport event which took place from 8–19 February 1984 in Sarajevo, Yugoslavia (present-day Bosnia-Herzegovina). 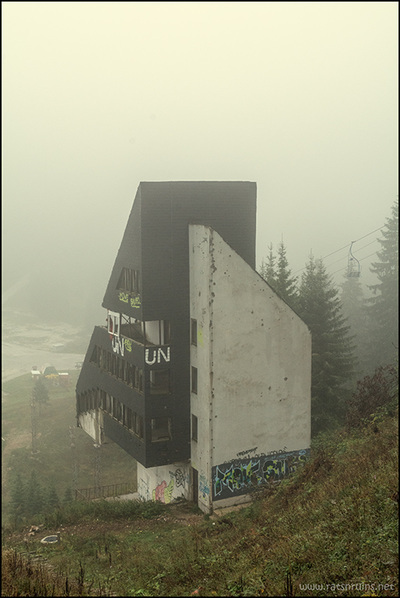 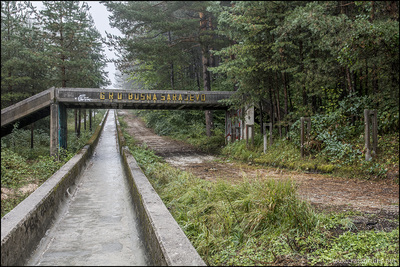 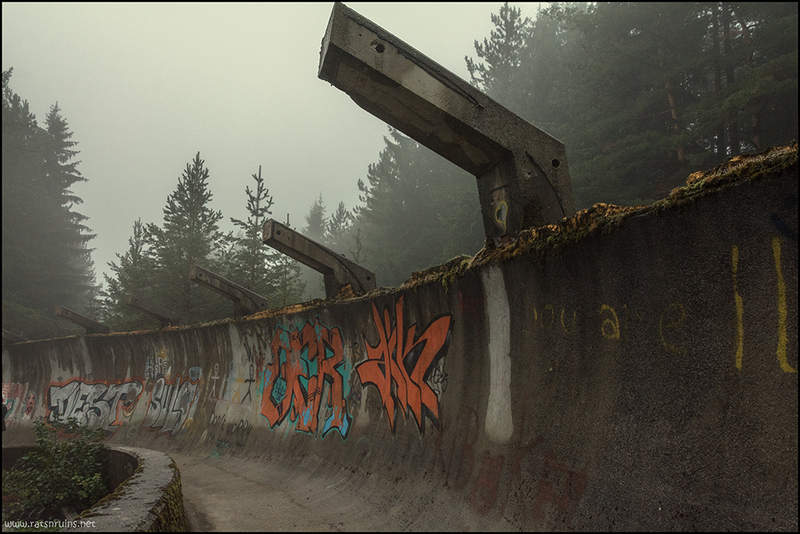 It was the first Winter Olympics held in a Communist state. 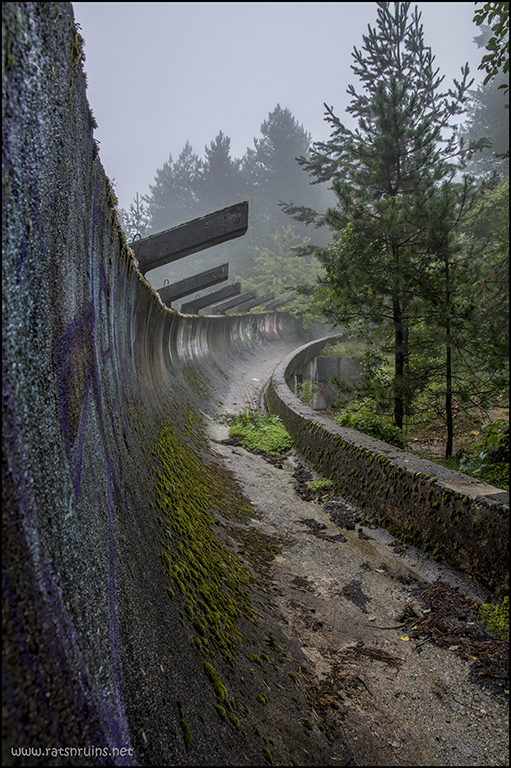 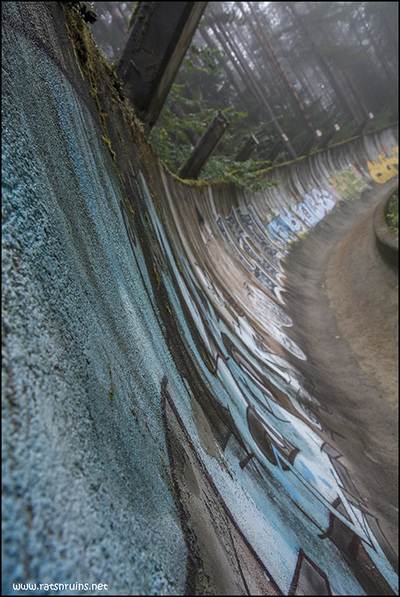 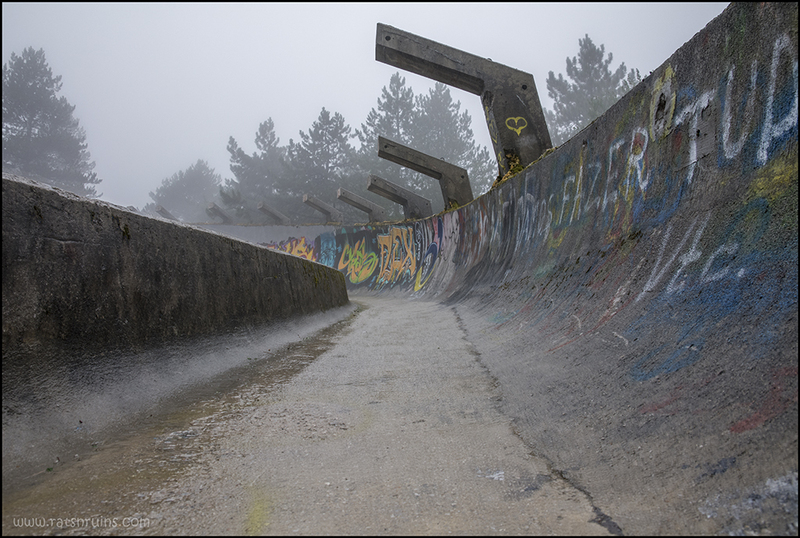 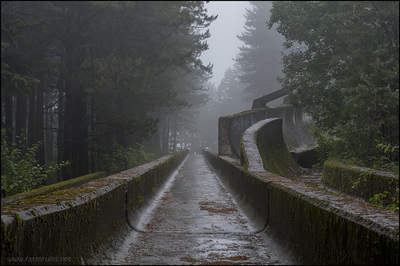 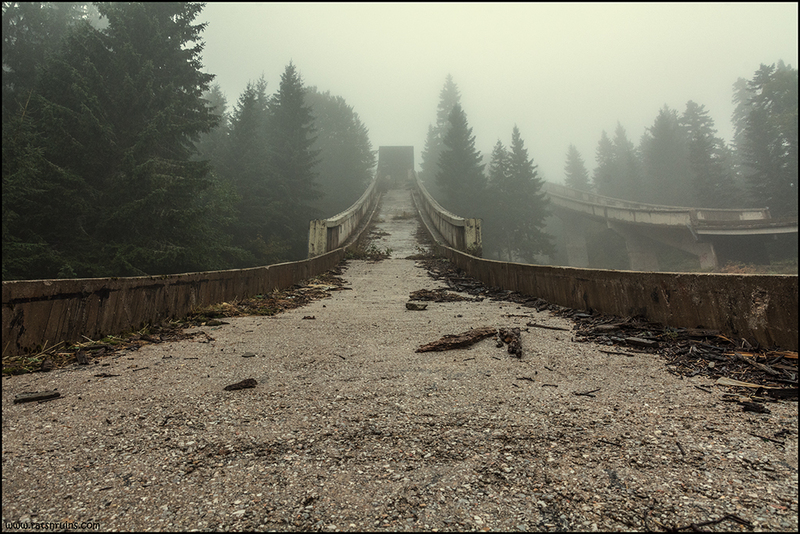 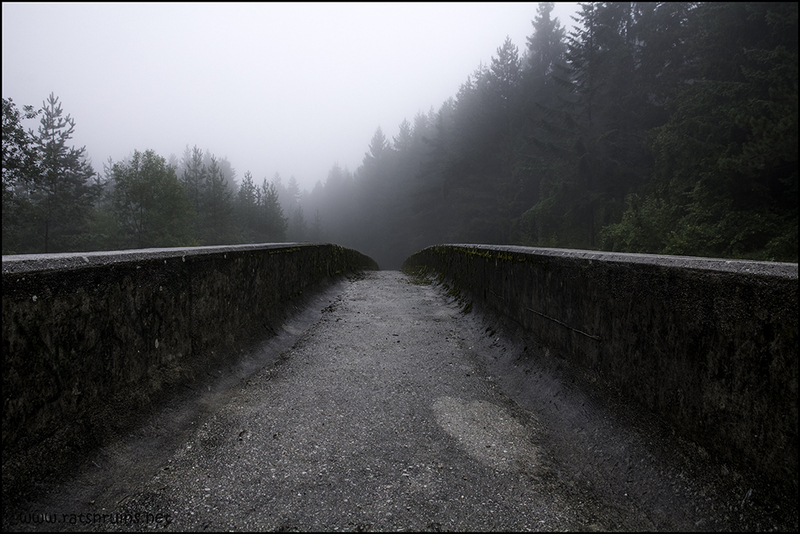 The 1300-meter concrete track was completed in 1982 and featured a total of 13 turns for the lugers to navigate. 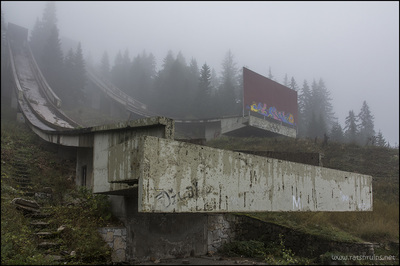 The expensive public work paid off after the events around the site during the Olympics garnered enormous crowds. 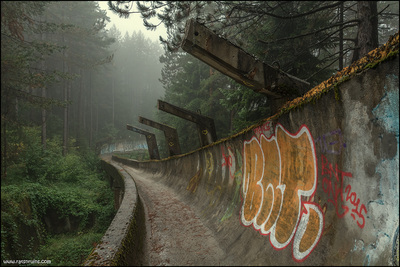 The track was able to be reused during World Cup competitions in later years following the winter games and it appeared that the long track would continue to pay dividends. 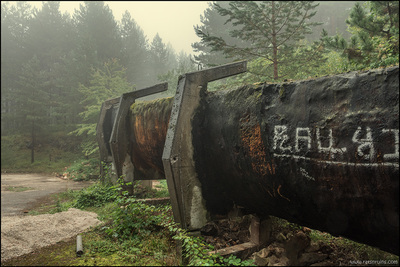 Unfortunately when the Yugoslav Wars began in 1991, the track, like the rest of the country, became embroiled in the fighting. The curled turns were used as defensive positions for Bosnian forces, and the whole of the track became pocked with bullet holes. 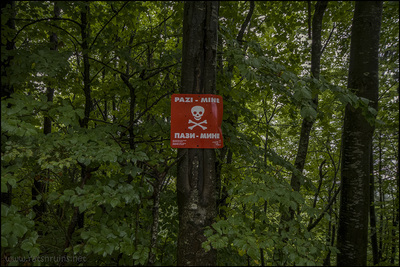 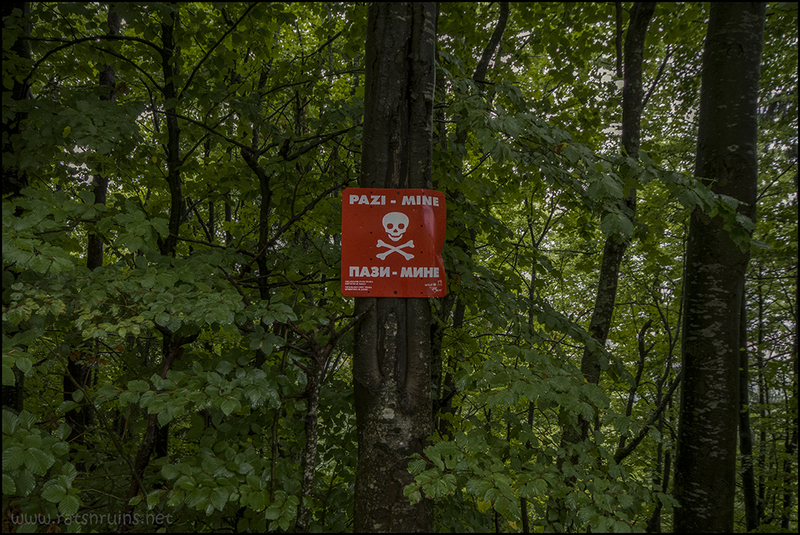 Even today, off the paths and tracks the ground is still littered with unexploded mines. 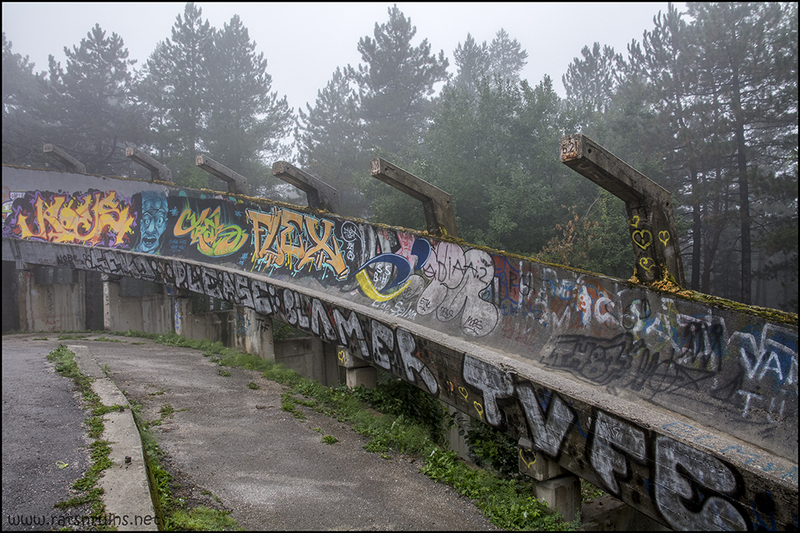 Throughout the Siege of Sarajevo (1992-1995) the area around Mt Igman became the scene of fierce fighting. 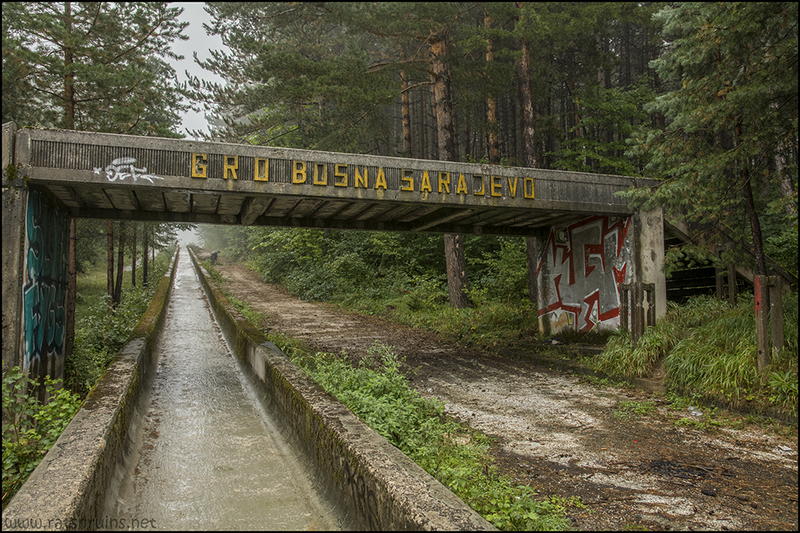 Eventually it became part of the UN buffer zone supposedly separating the Bosnian and Serb forces. 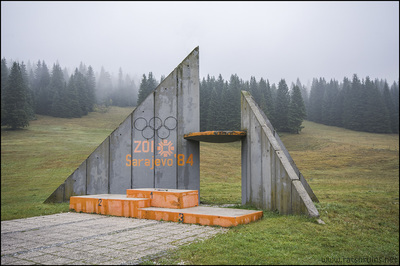 The angular Olympic pavilion was even used as a backdrop for summary executions. 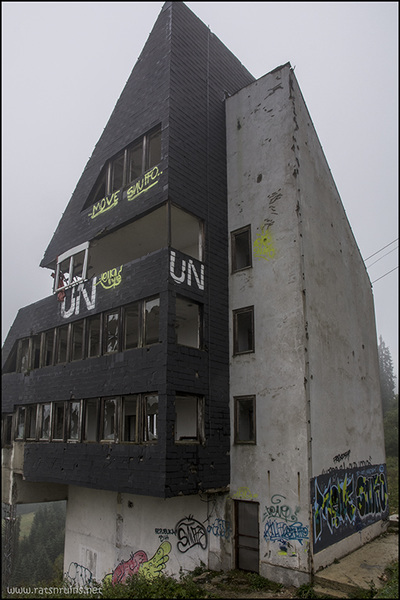 Today the remains of the fighting can still be seen on the ruins of the Olympic facilities; traces of UN symbols still linger on the abandoned judges' tower, and some of the structures are still riddled with bullet holes. 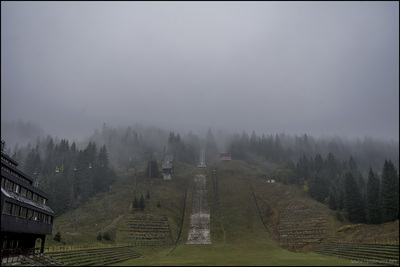 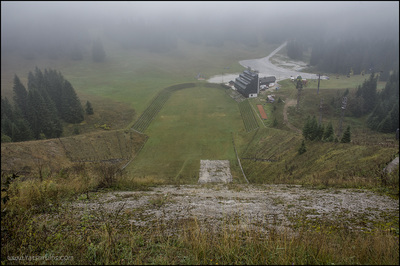 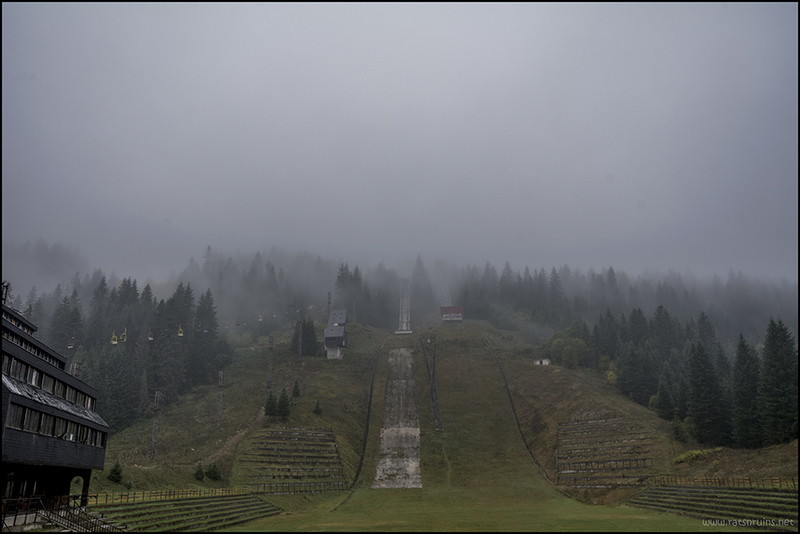 Even though the ski jumps are unusable today, there is some activity in the Igman ski resort. The lifts remain operational and give access to a handful of usable ski slopes elsewhere on the mountain. 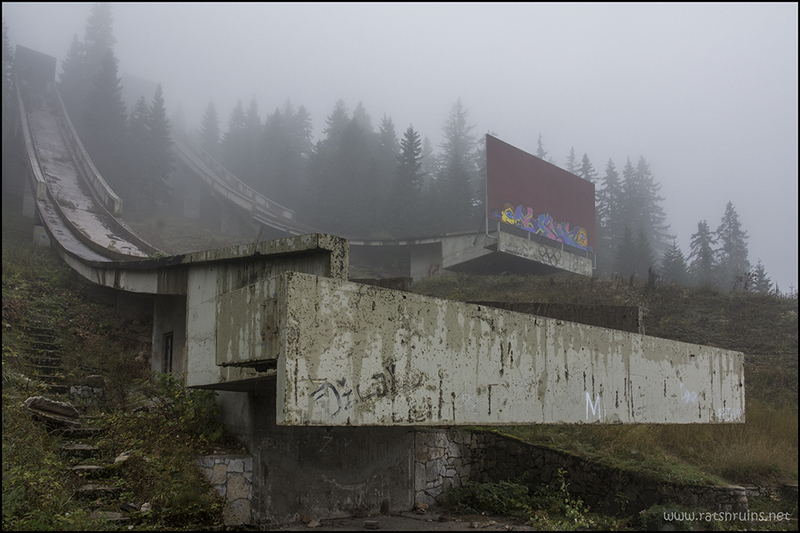 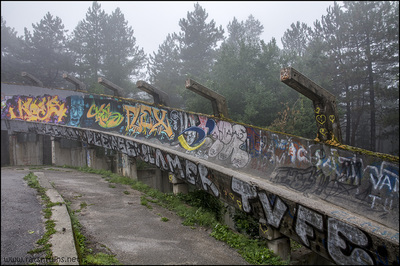 The Olympic podium has been restored to its original state to cover the bullet holes from the executions, thus restoring some of the normalcy to a once popular ski resort that became plagued by war. On a lighter note did you know the Olympic flag was raised upside down during the opening ceremony by mistake?